I have desperately wanted to try Birchbox for some time, but have felt loyal to Glossybox. However, this month I have decided to give it a go and see how Birchbox measures up. 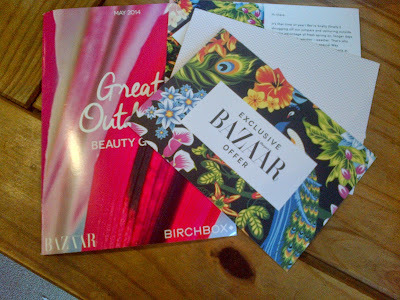 My first impressions are that there appears to be more high end/alternative brands in Birchbox, things I am less likely to receive in Glossybox. Now don't get me wrong, I haven't abandoned Glossybox just yet. Let me know what you prefer. 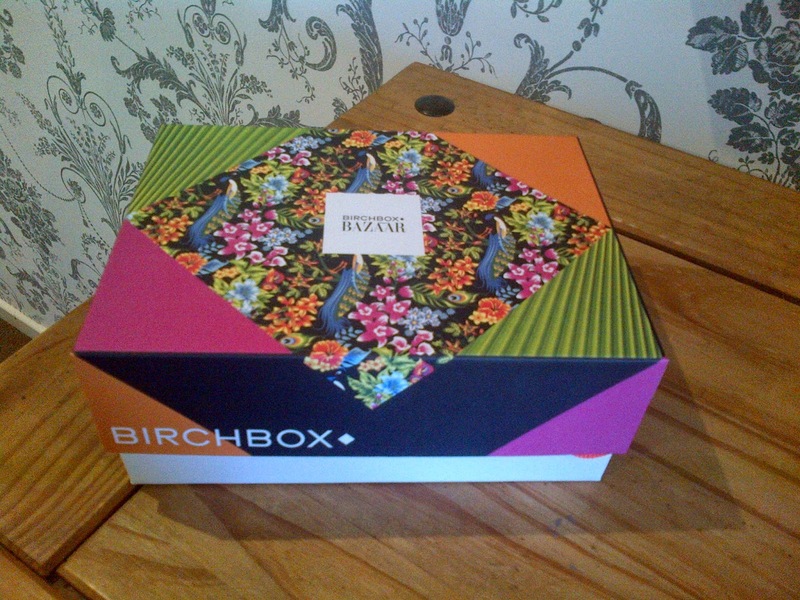 Glossybox or Birchbox? On first impressions, the box looks not as sturdy as Glossybox but I do appreciate the little drawstring bag that the items come in. They are handy as wash bags or to travel with. Everything fits inside neatly! You also get a little welcome card, the magazine and a card describing all the prices. A favourite of mine in a small, handbag friendly size! I will definitely be using this on summer holidays and to just generally pop in my makeup bag. Lovely formula with a lovely brush that definitely helps my short lashes! As you can see below, I am very fond of this varnish and would actively purchase more colours. 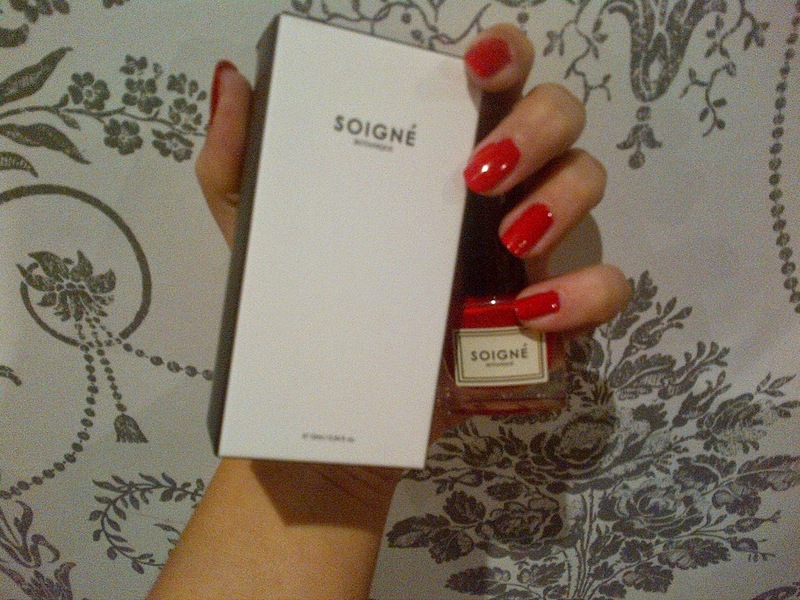 The formula is lovely, my nails look shiny and glossy. This is with two coats and a top coat. Now, the way people rave and worship this product I was expecting a miracle. I massaged it into my face for around two minutes on dry skin as instructed. 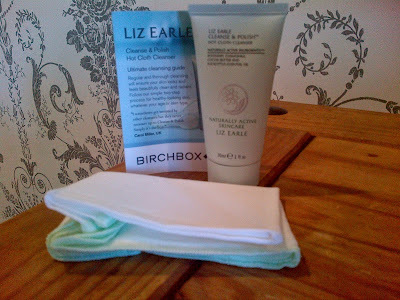 It feels like a face cream and then using the muslin cloth I gently exfoliated it off. Left my skin fairly soft and clean, but certainly no better than my Soap & Glory hot cloth cleanser! With grapefruit, juniper and rosemary this smells like an aromatic spa experience in a tiny vial. I massaged this over my body before showering and it stayed with me on drying my skin post shower. Most definitely a tiny bit of luxury! This is ideal for my bleached, highlighted hair with it's sulcate free formula. It smells like... Something sweet, possibly strawberry, hint of raspberry? It's lovely, nourishing and my hair felt soft after using this. I have a feeling I may be purchasing full size of these as they would make a great everyday formula.